Implementation of a family house next to the El Palol monastery near the river of Fluvia in Catalonia. 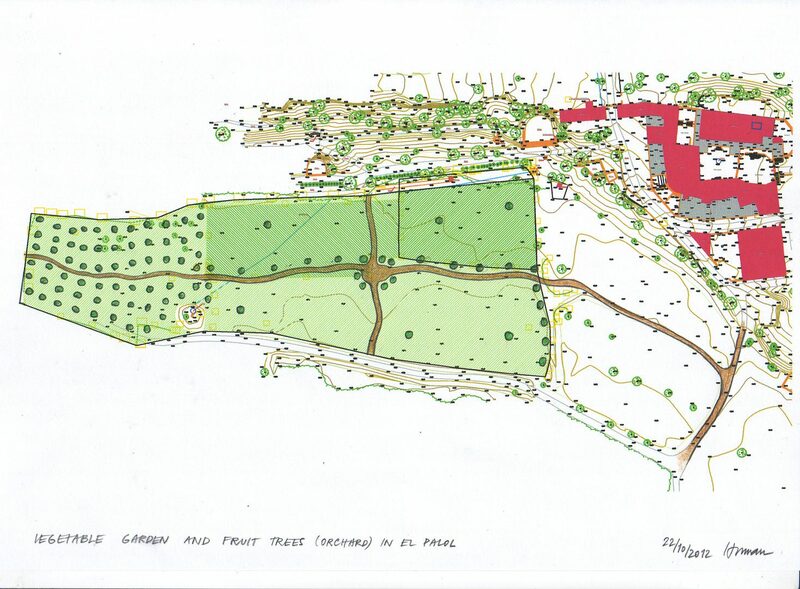 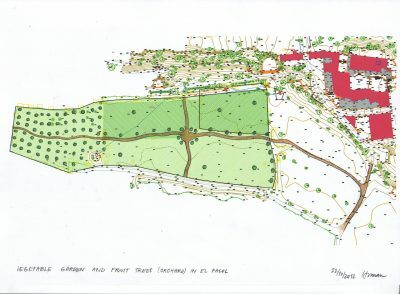 The project involves a study of geomancy and feng shui. It is part of the ecological hotel in El Palol. 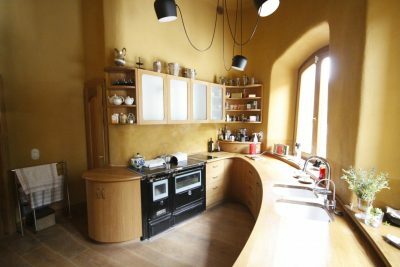 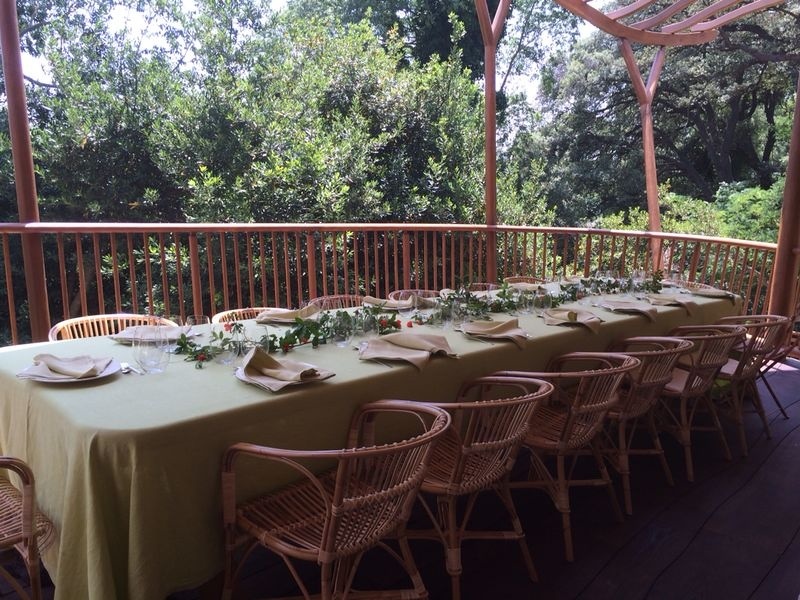 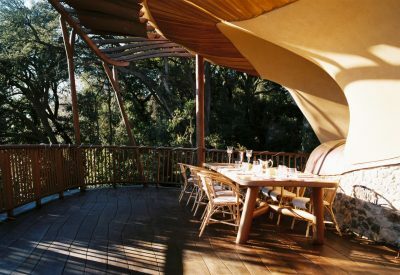 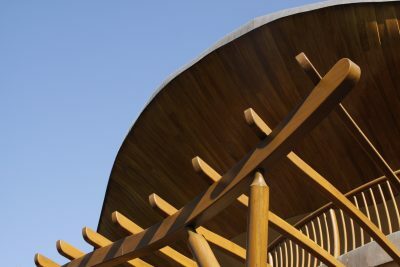 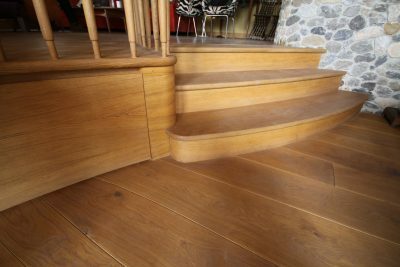 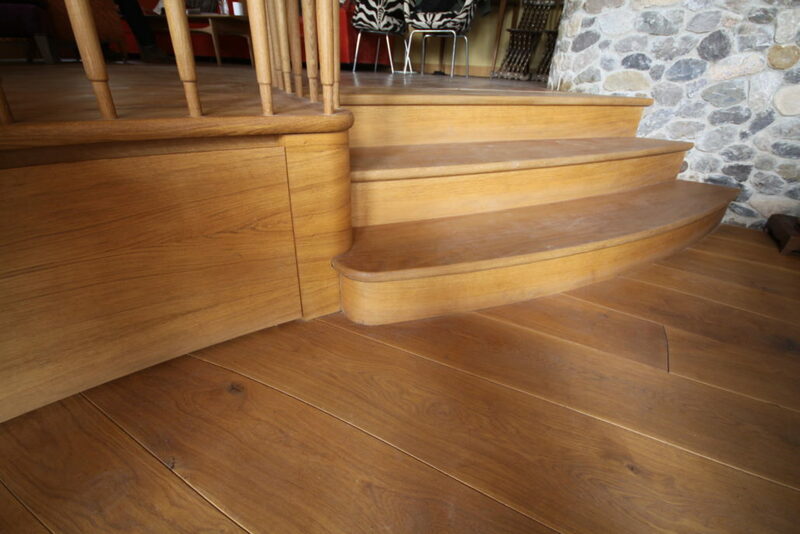 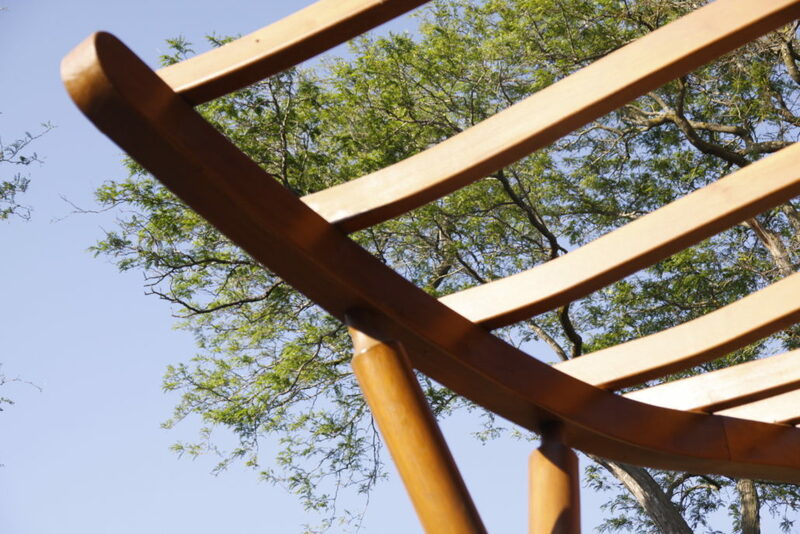 The construction is made of natural materials; primarily of wood, local stone, and local clay. 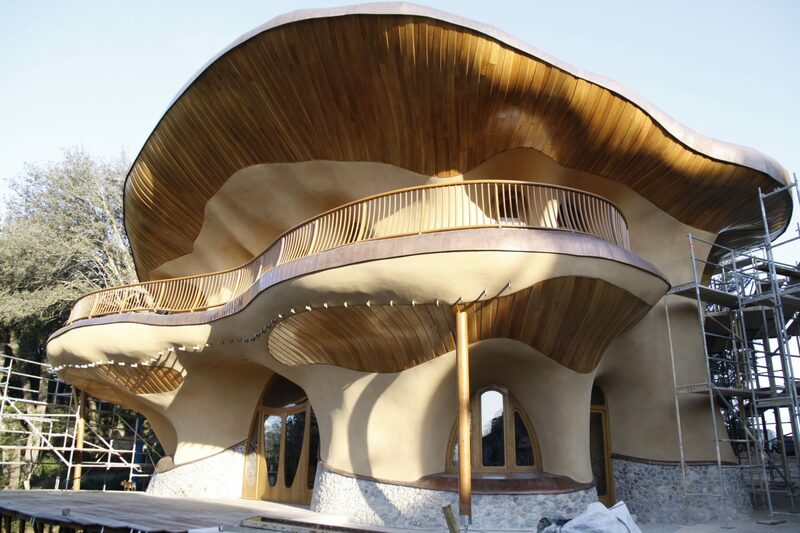 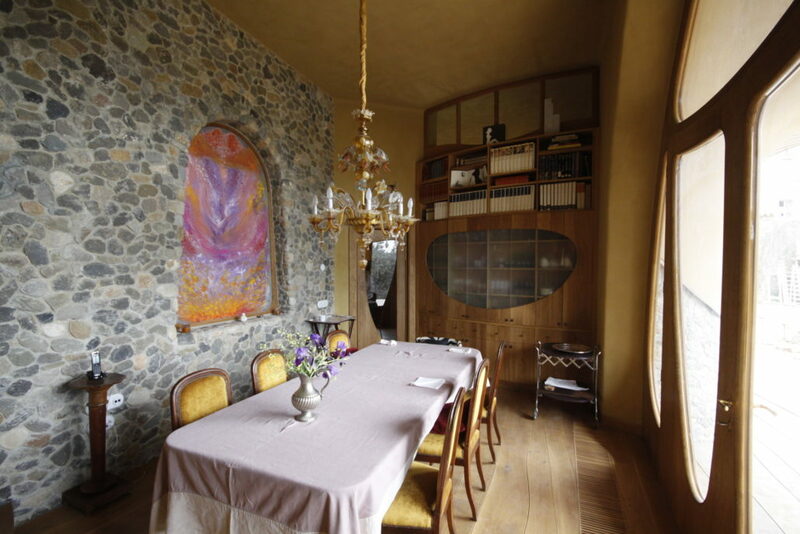 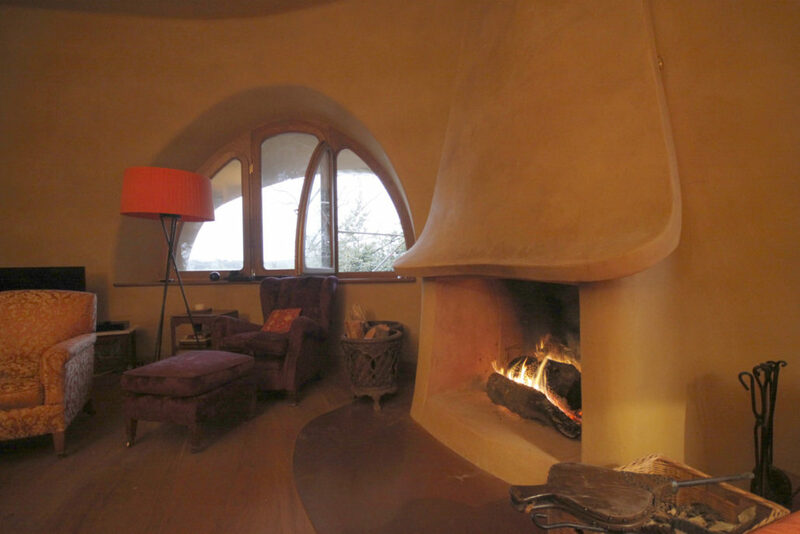 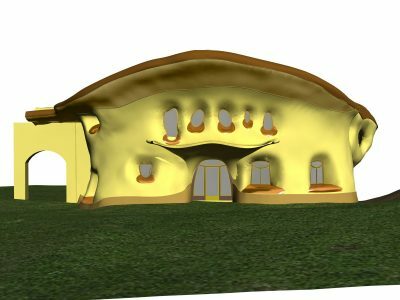 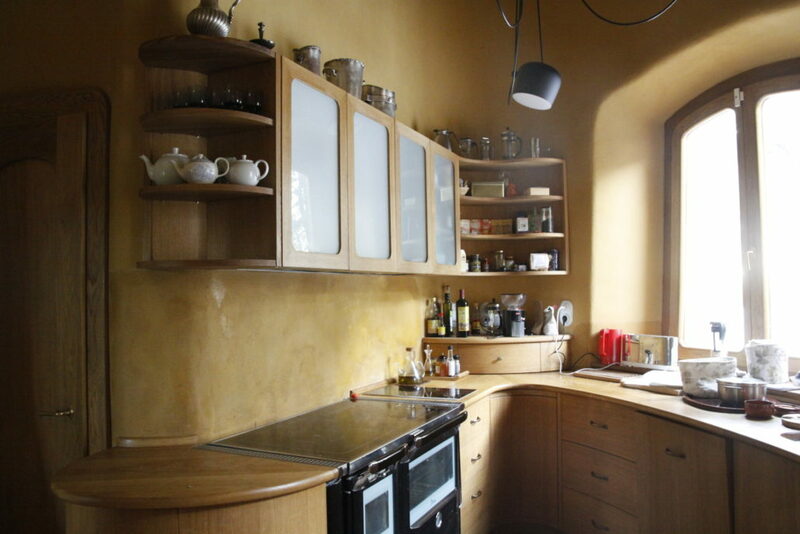 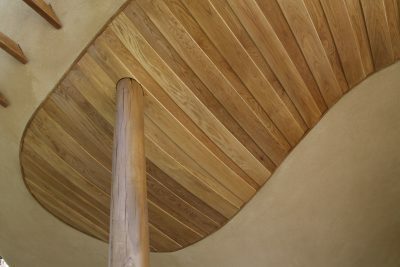 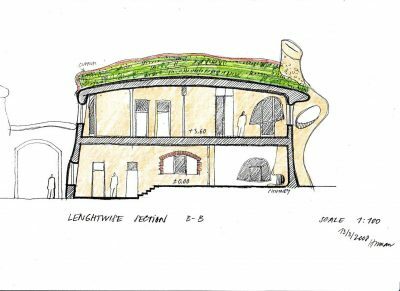 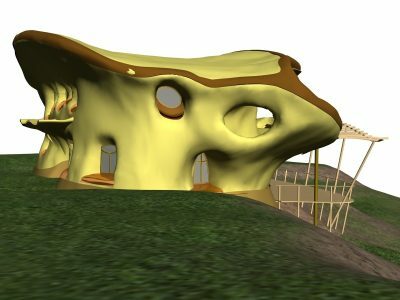 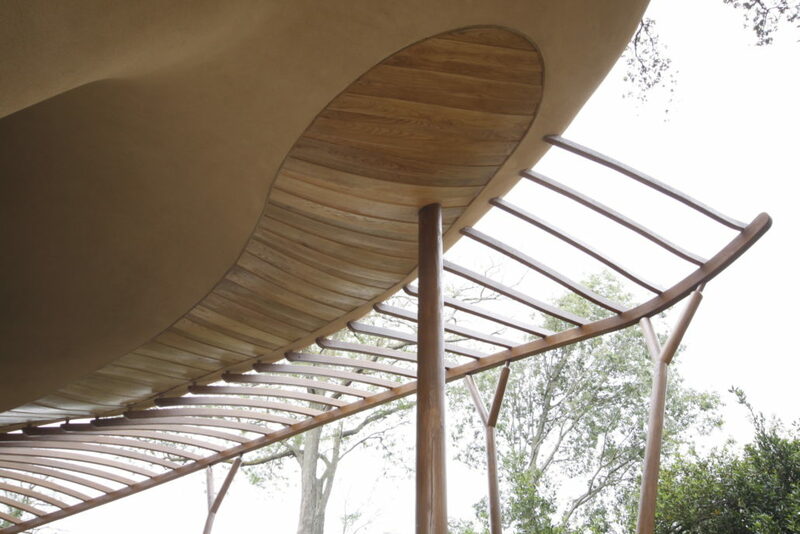 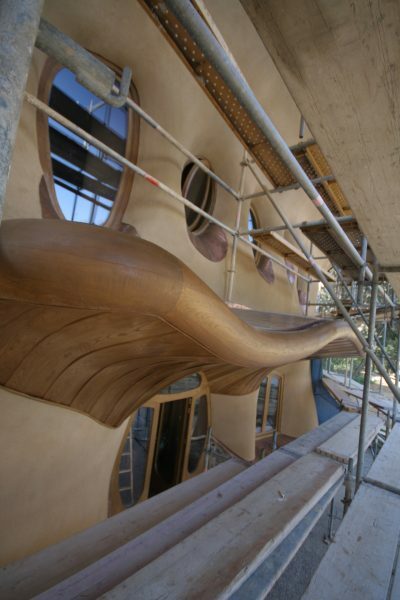 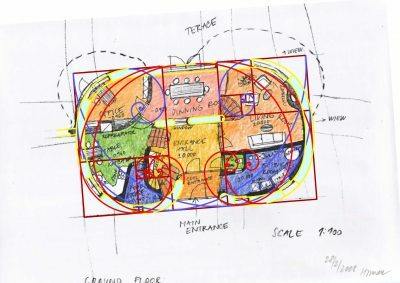 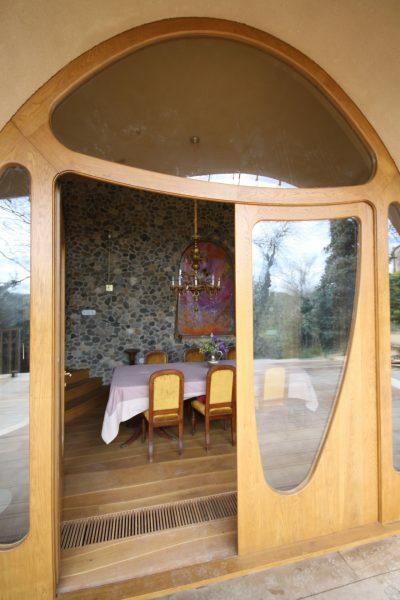 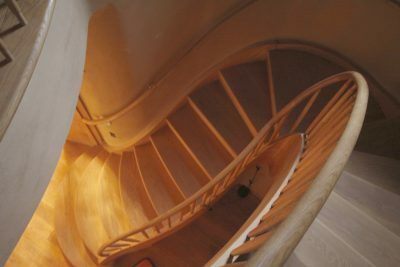 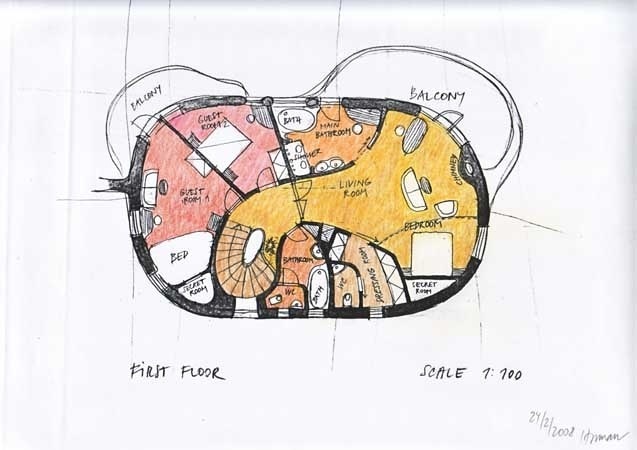 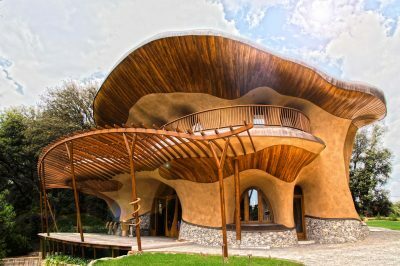 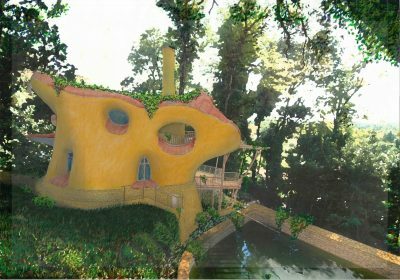 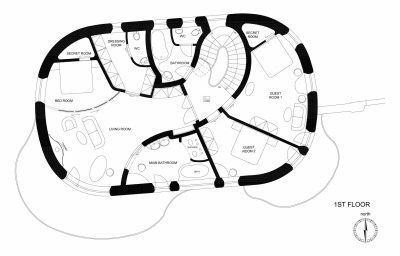 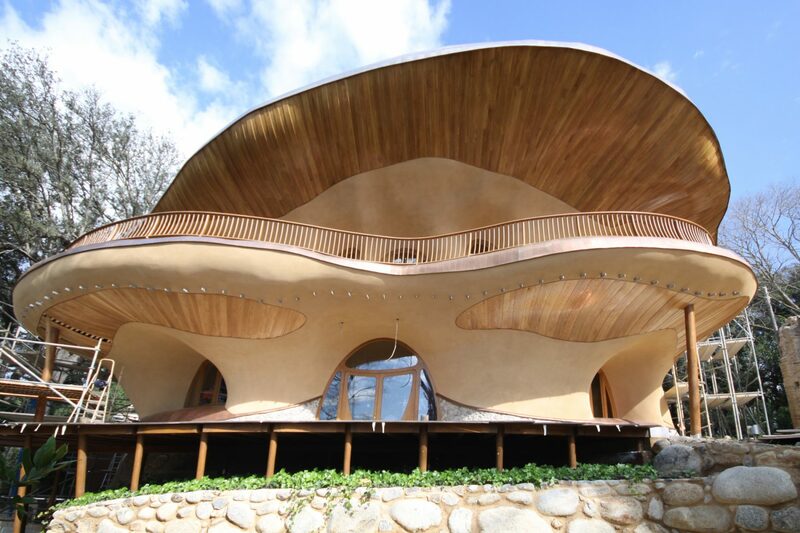 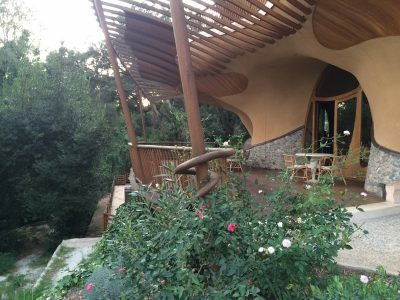 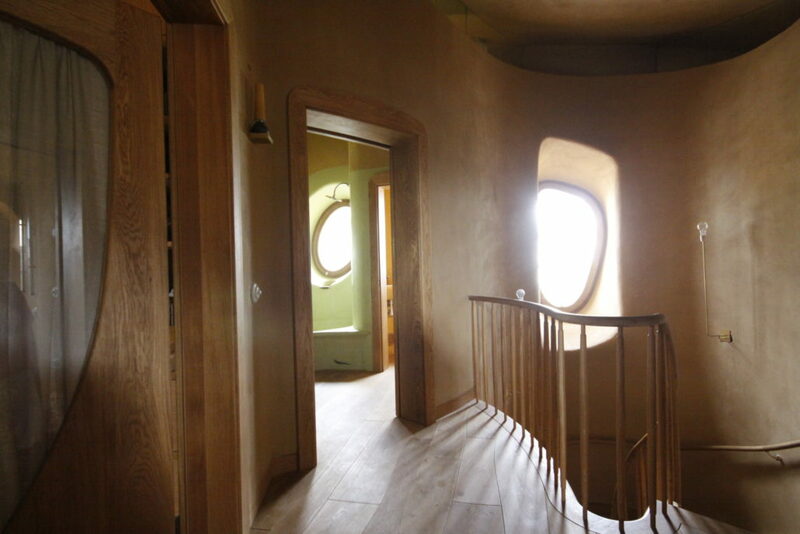 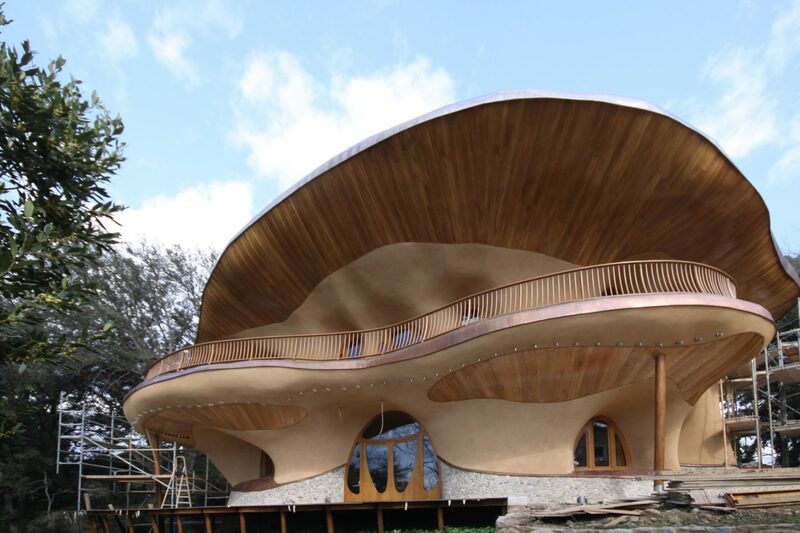 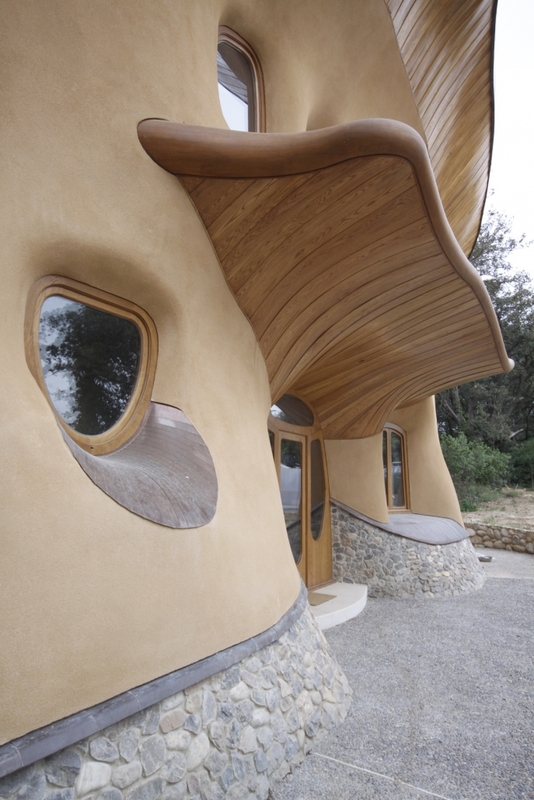 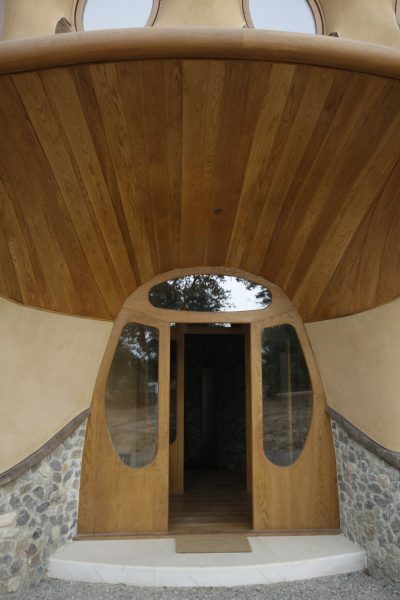 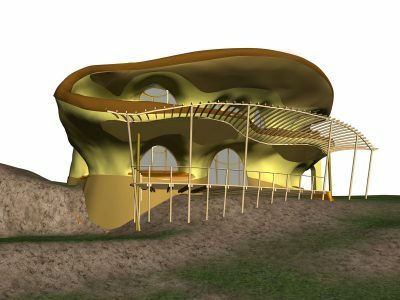 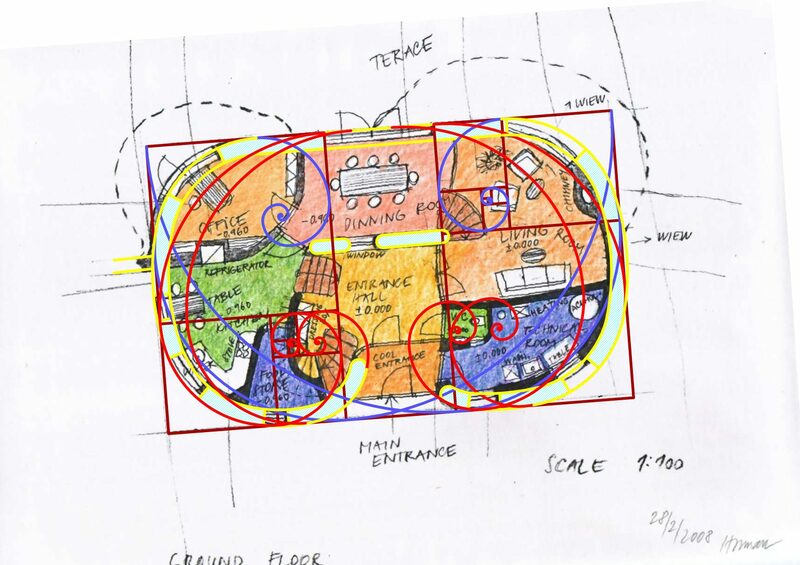 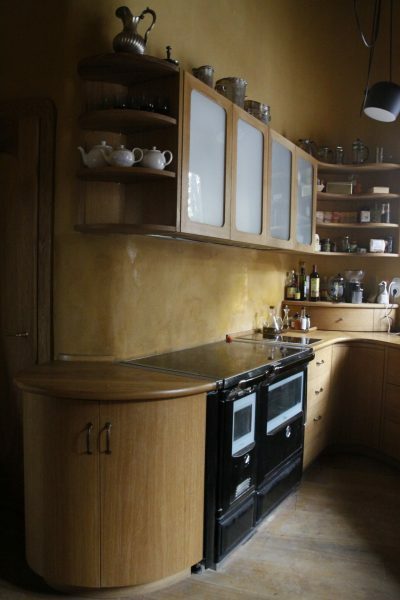 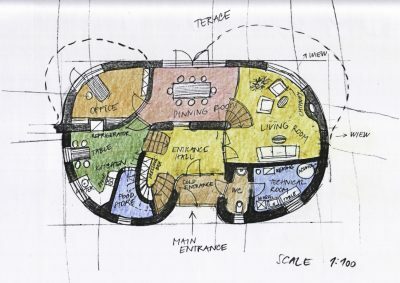 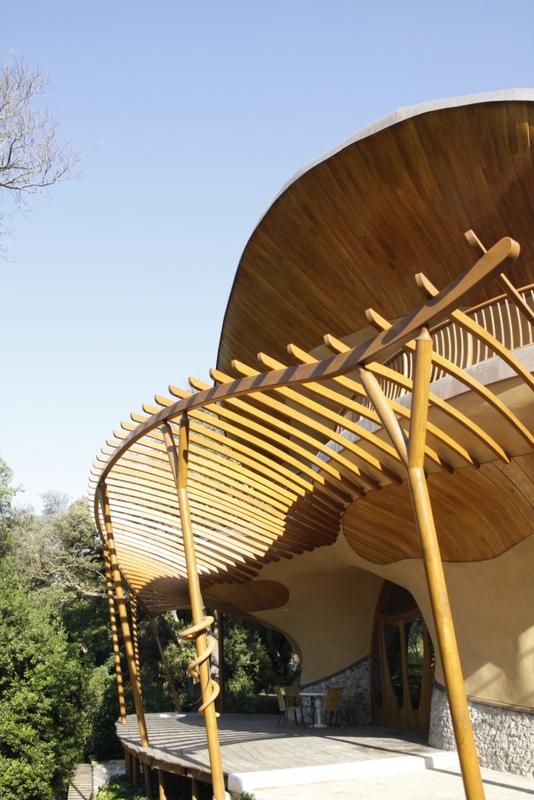 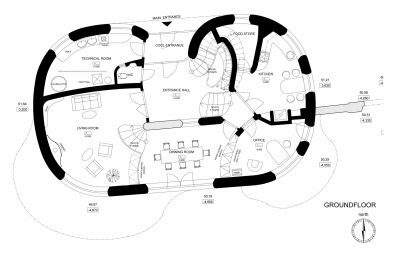 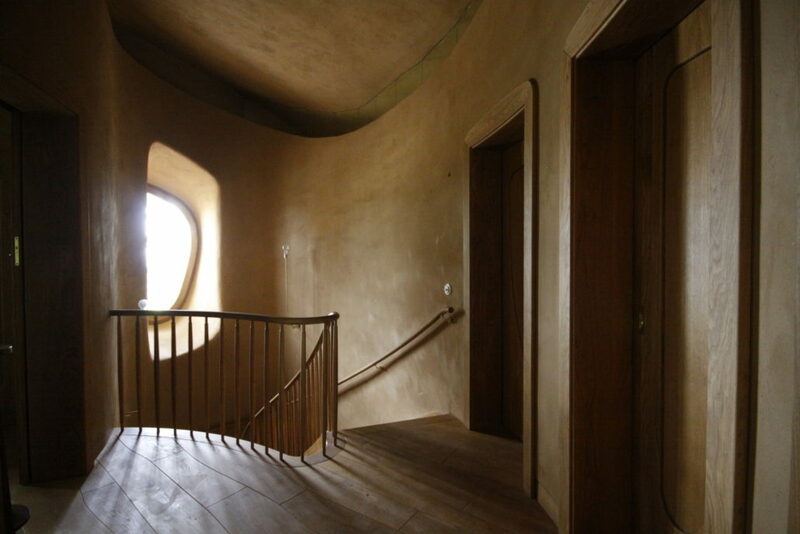 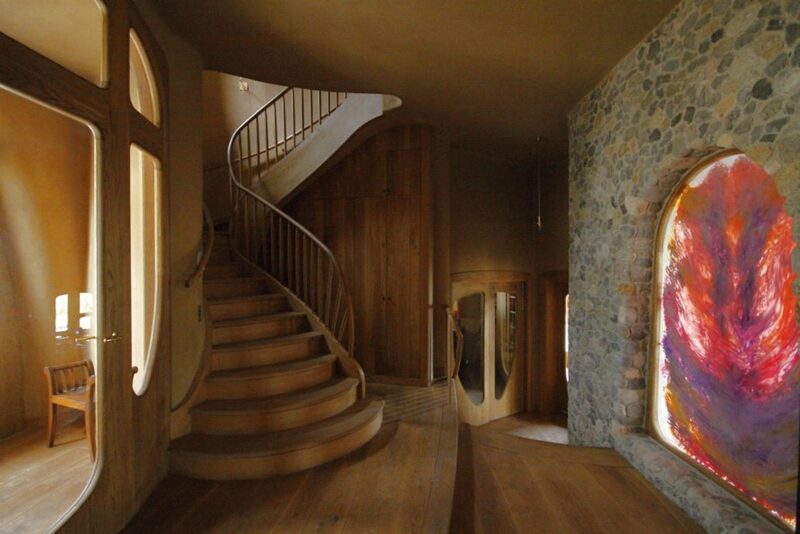 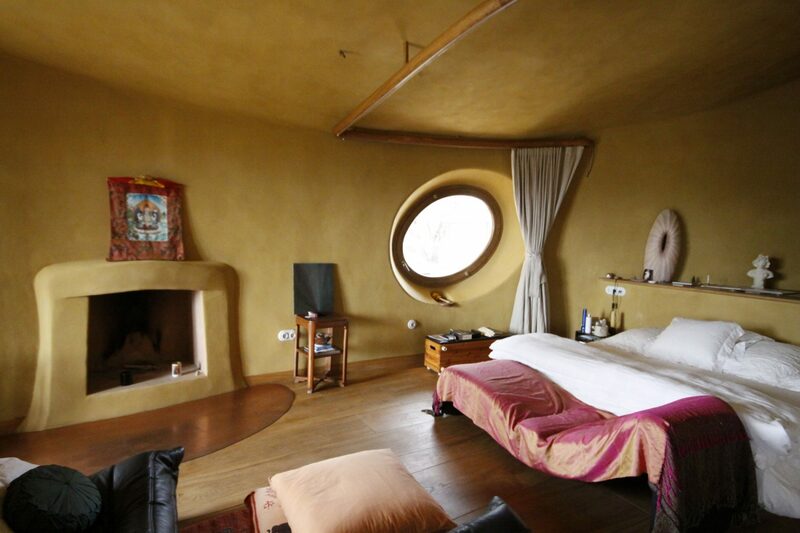 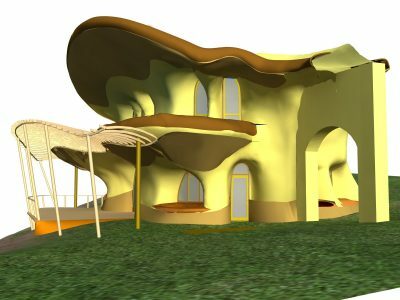 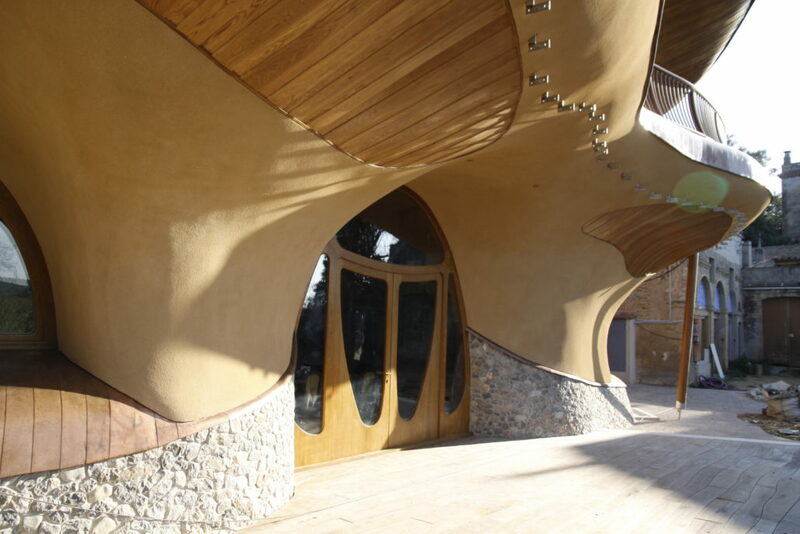 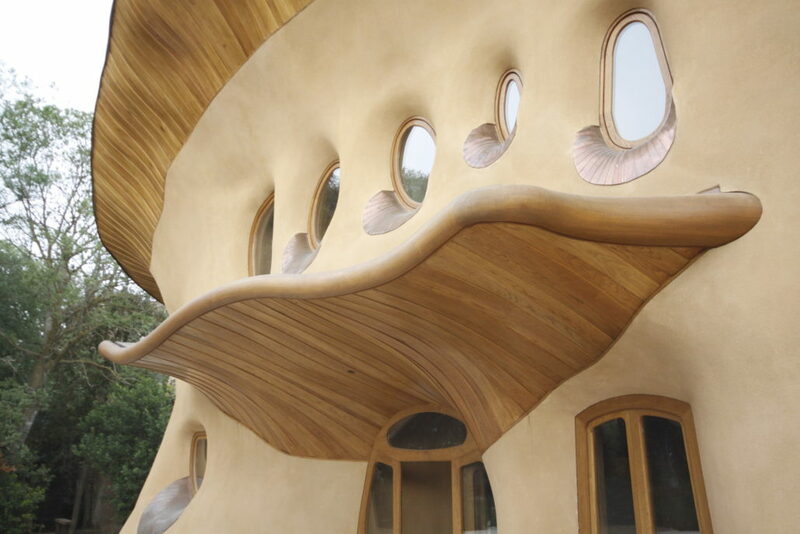 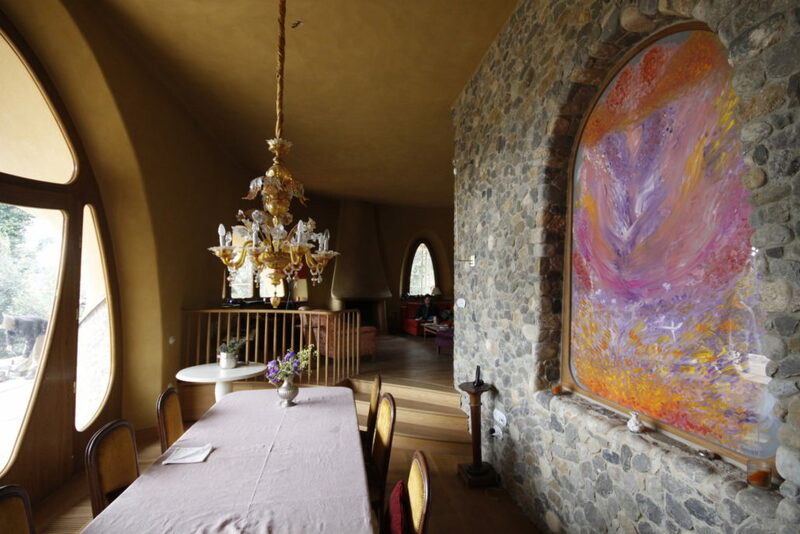 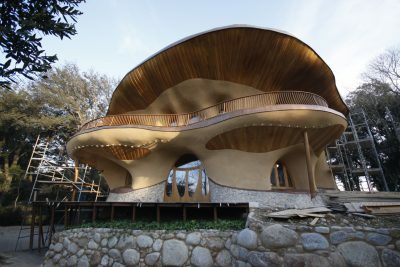 The house is based on the shapes of organic architecture. 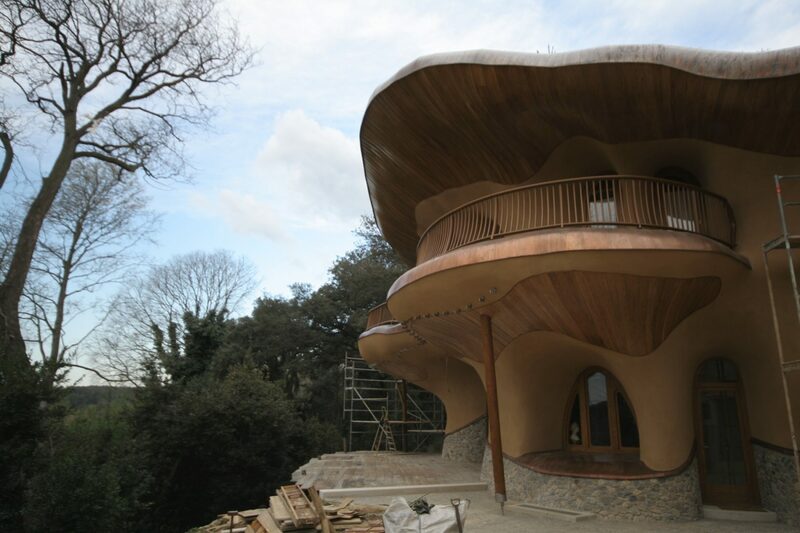 The roof is grassed. Because of the warm Spanish climate, the house is additionally cooled in summer by the air that flows underground – the so called ground collector. 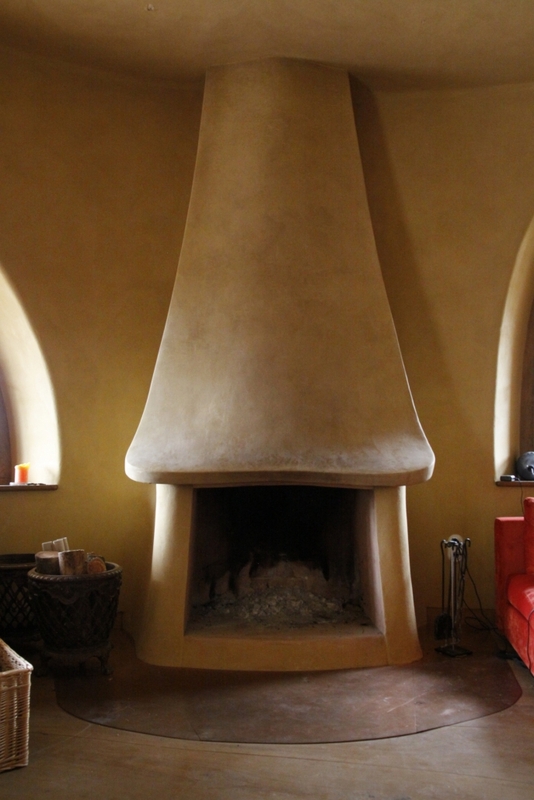 This significantly saves money for electrical cooling. 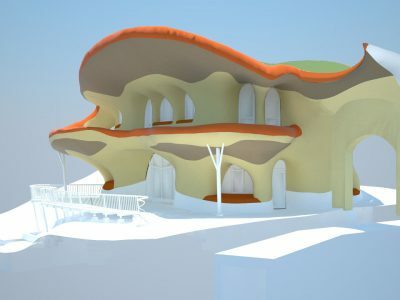 The shape of the building was modeled together with the client and future inhabitant of the house. 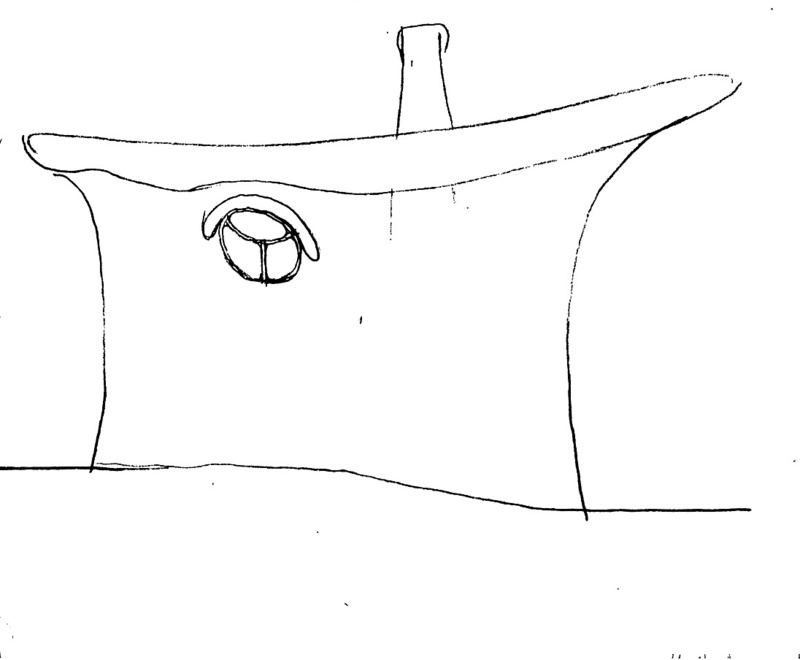 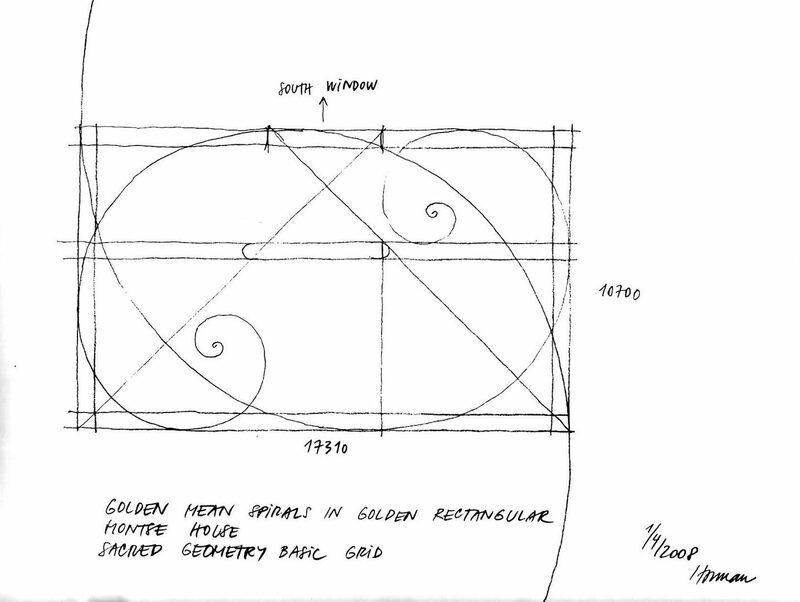 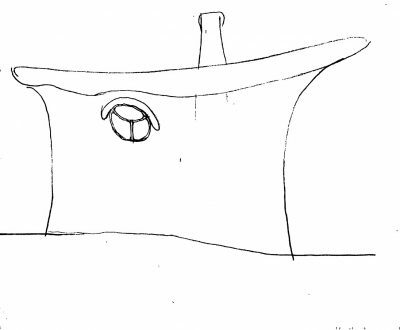 The design thus captured the creative forces and inspiration of the customer. 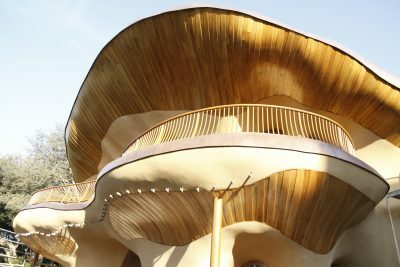 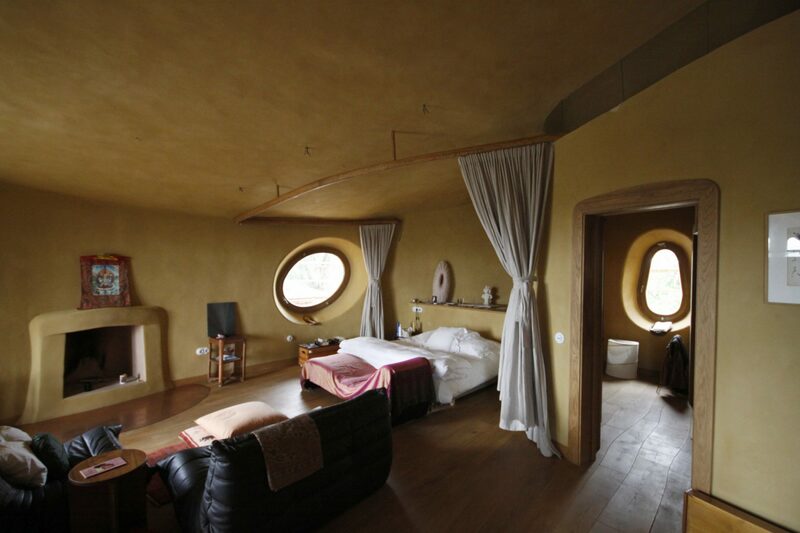 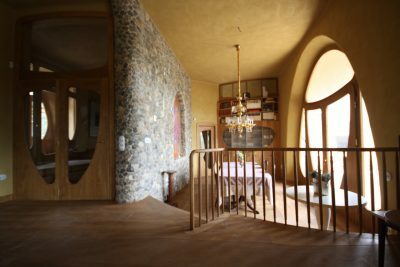 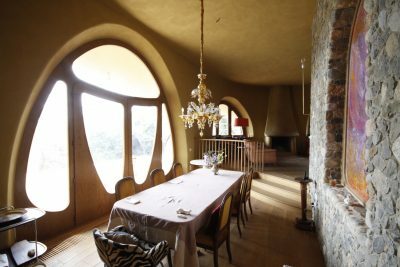 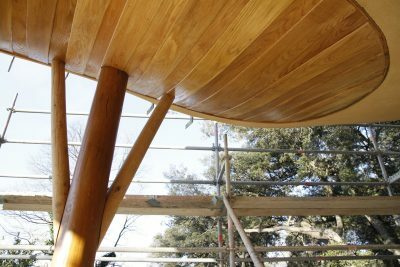 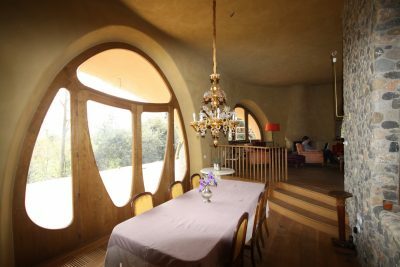 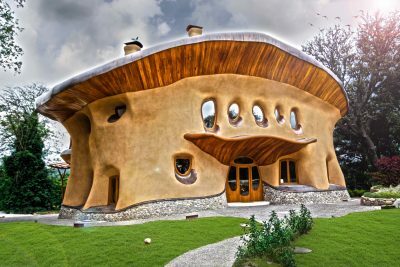 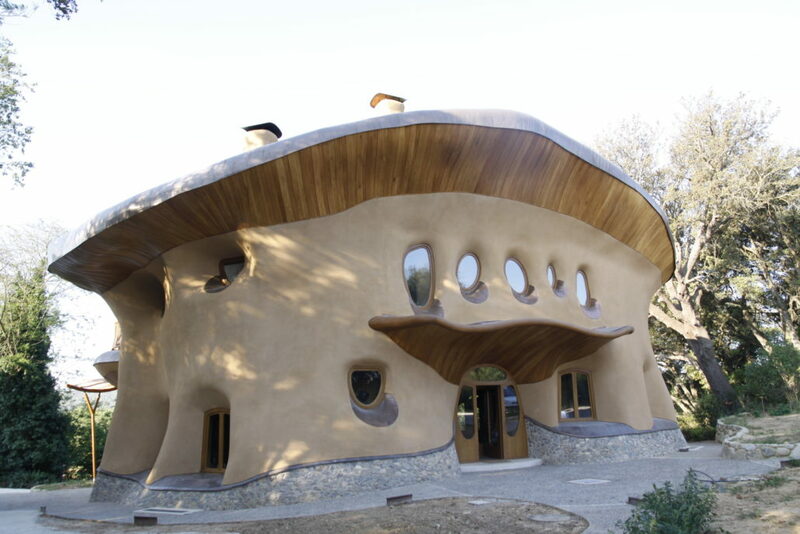 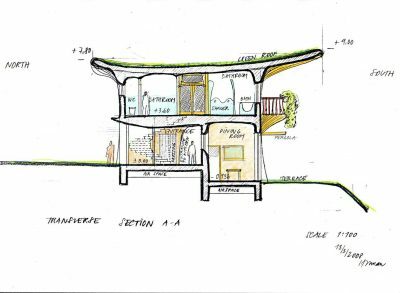 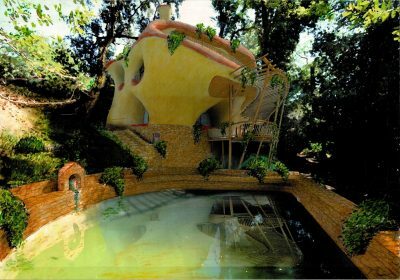 interview and “>video with Oldrich Hozman on the trade fair of sustainable architecture in Girona where he spoke about organic architecture and this house in Spain. 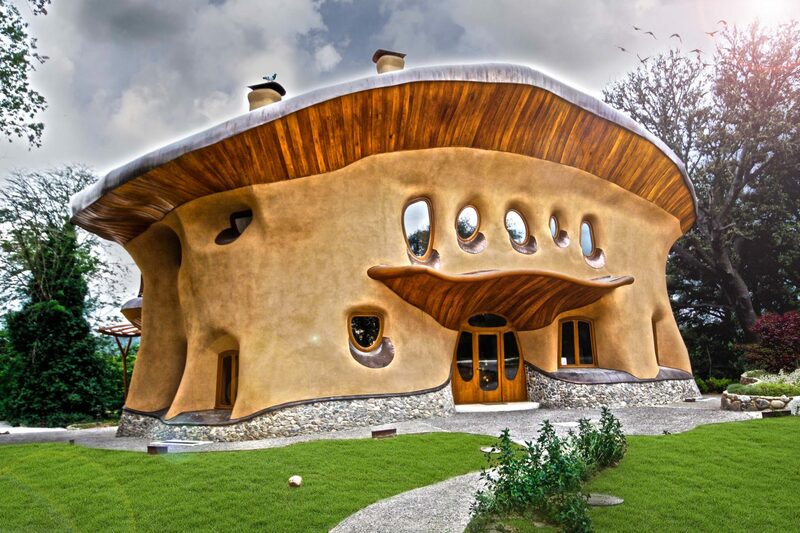 On the Novinky.cz website , you will find a discussion about the house. 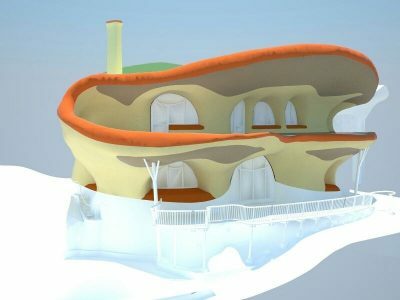 Article and description about the house (in pdf). 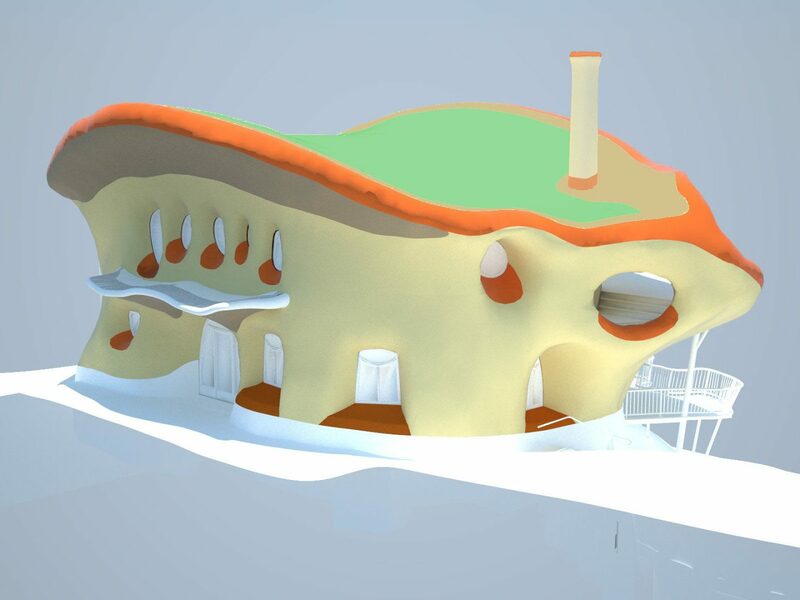 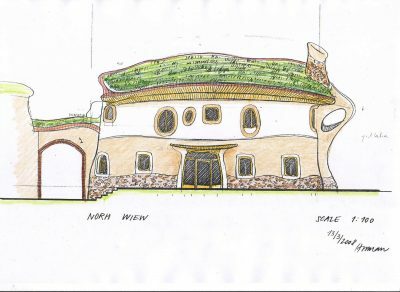 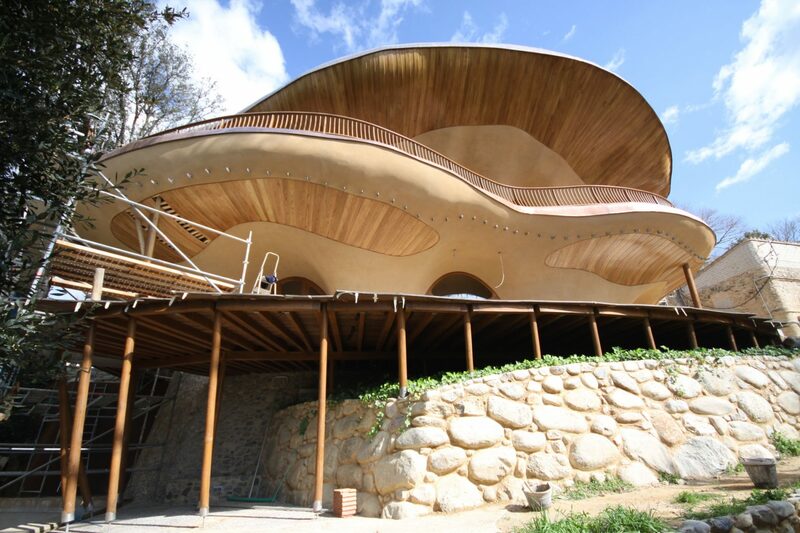 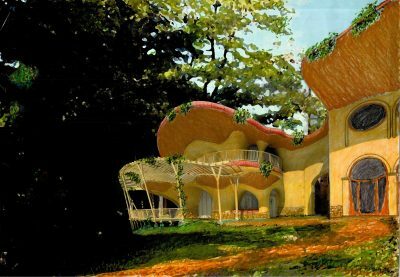 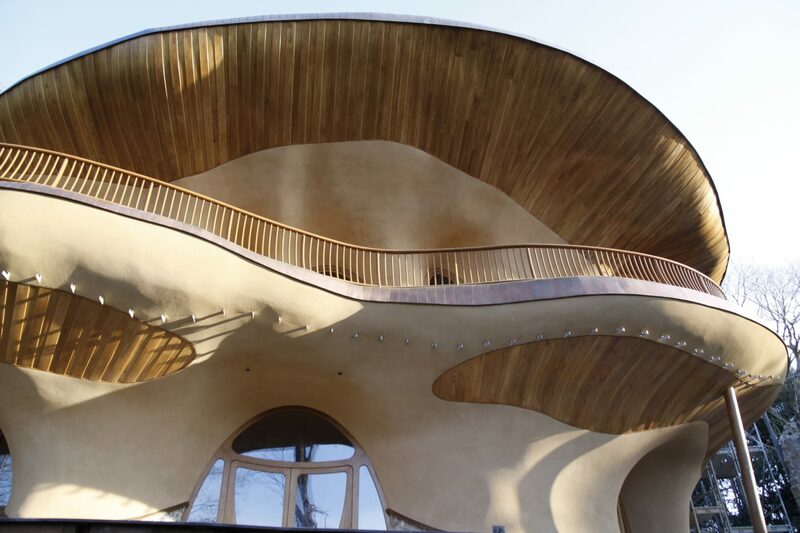 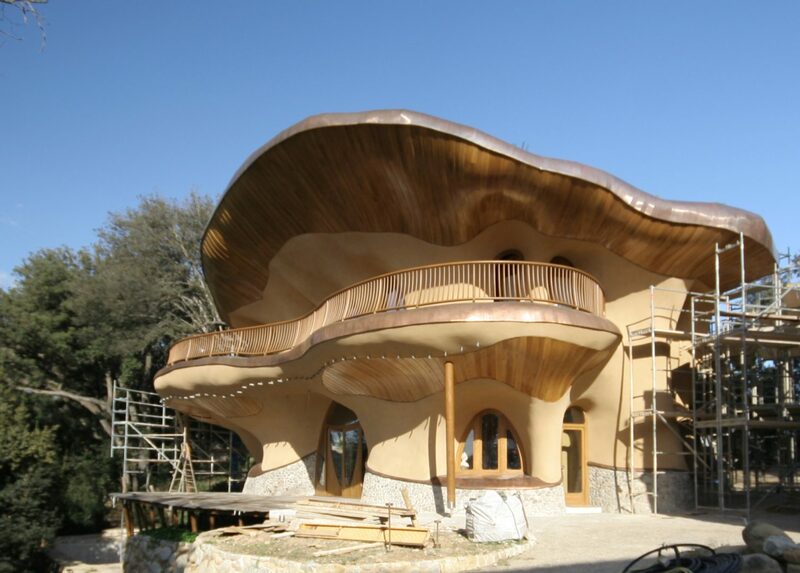 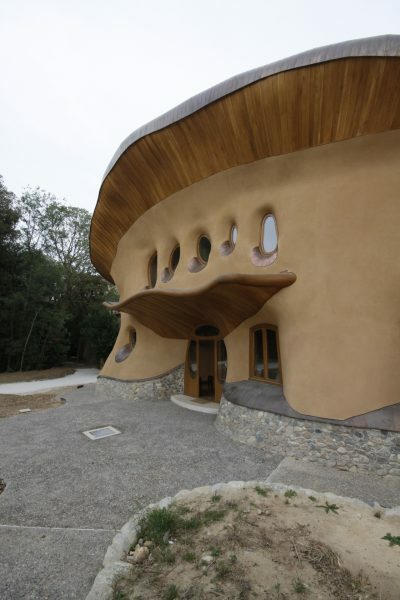 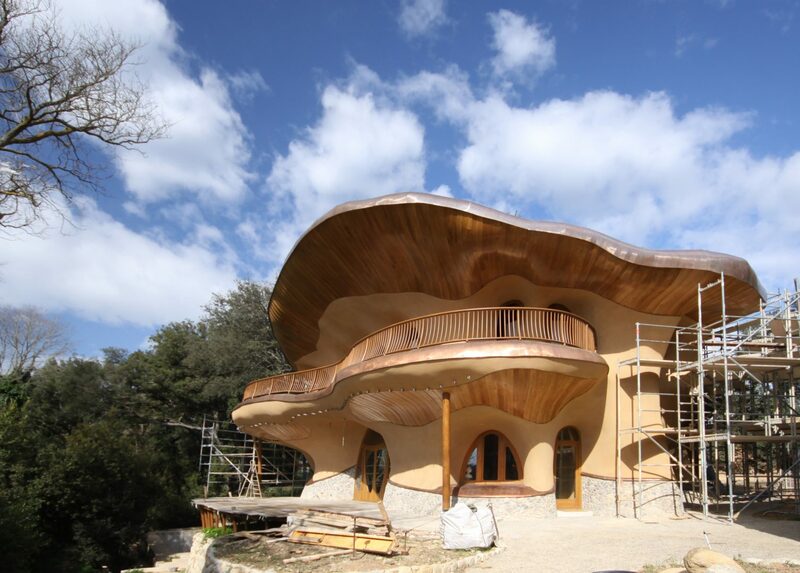 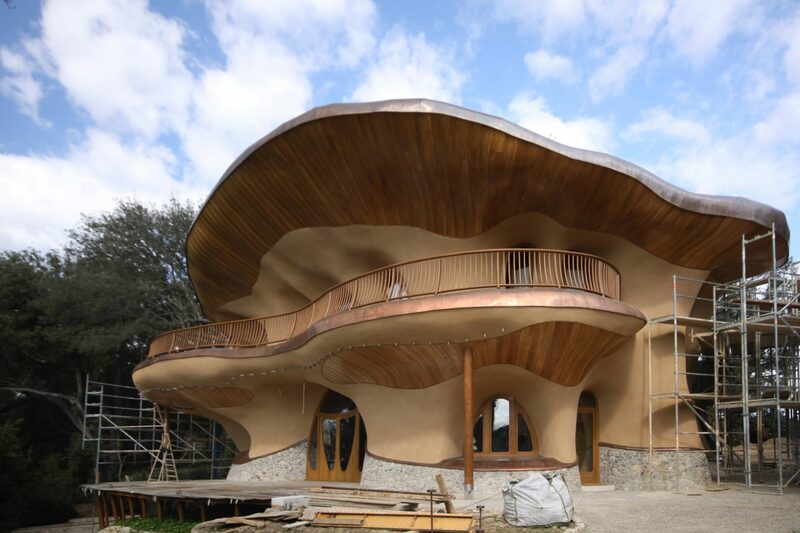 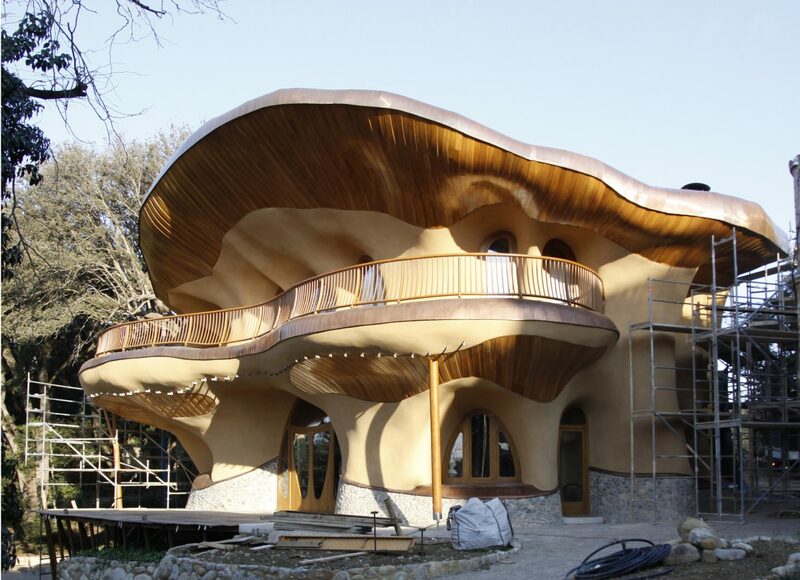 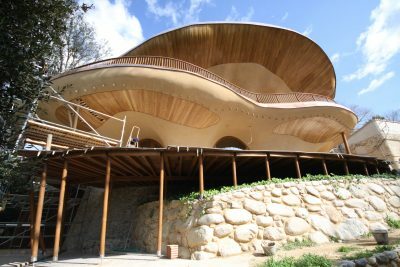 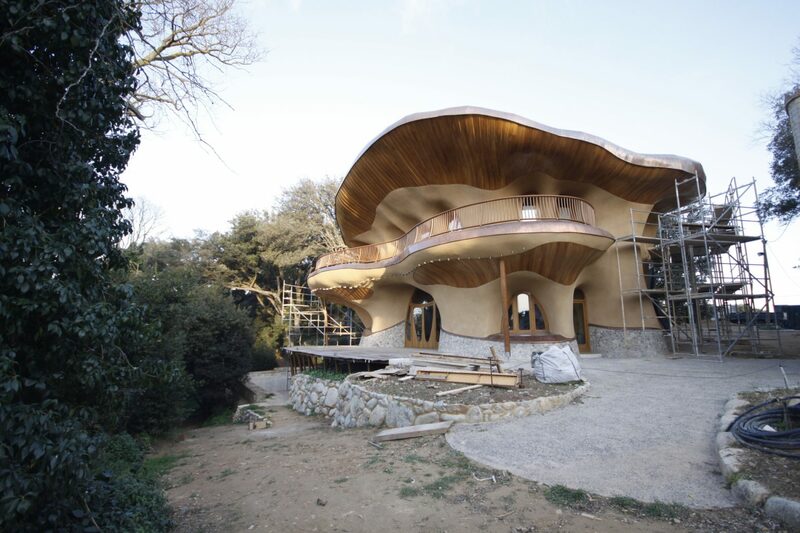 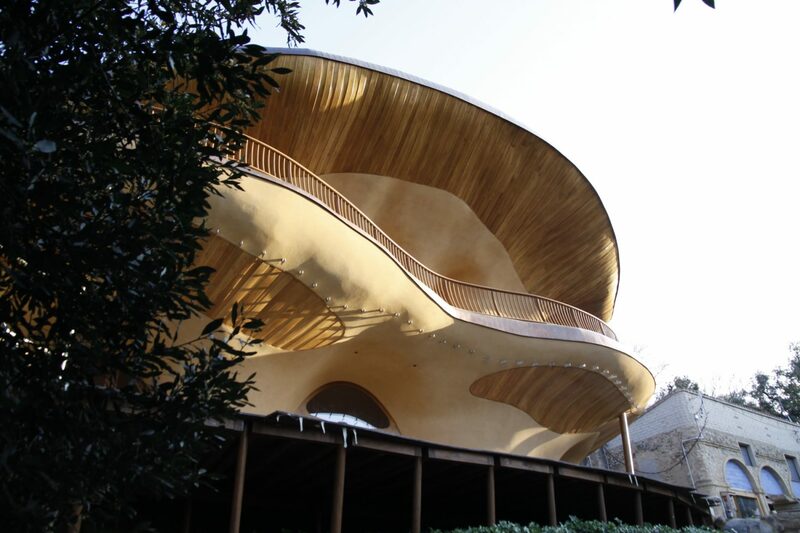 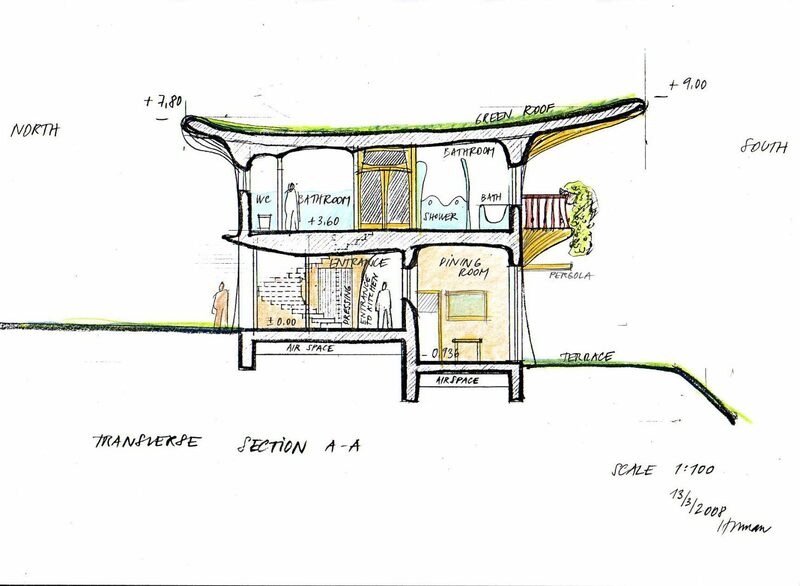 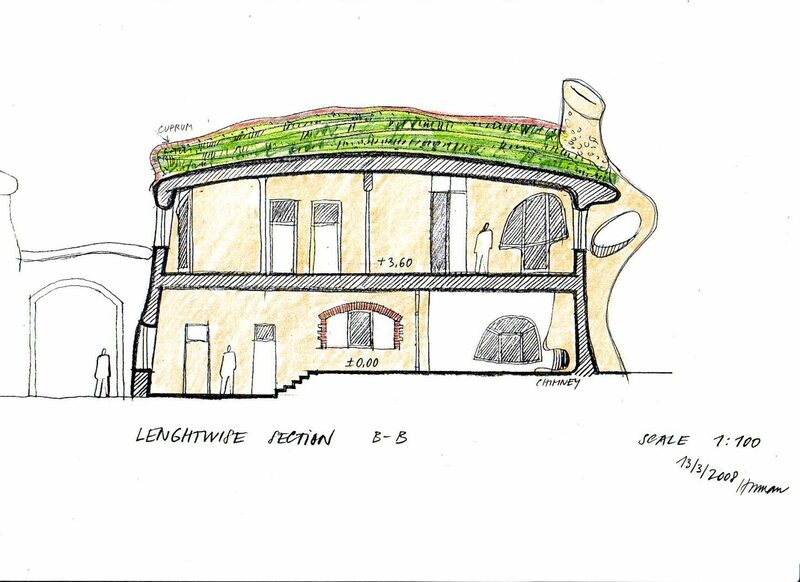 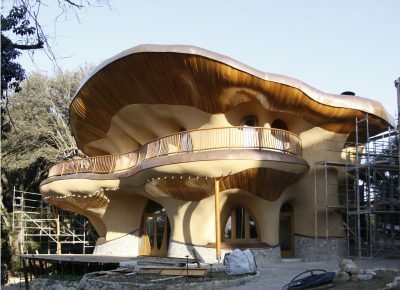 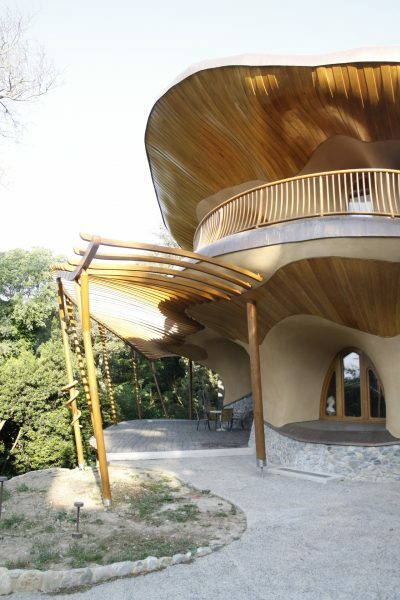 Lecture about therapeutic features of organic architecture includin this house (YouTube video). 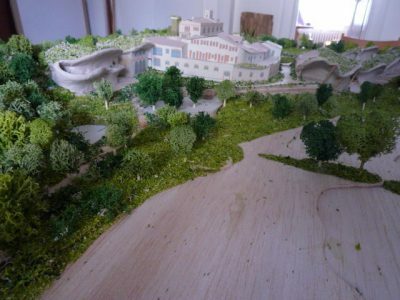 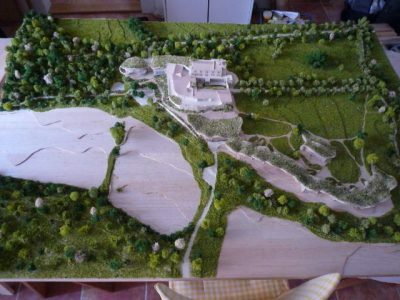 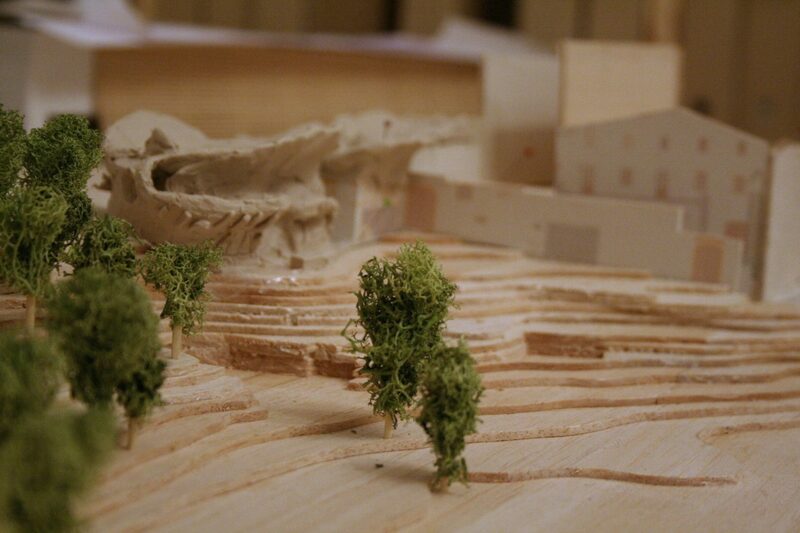 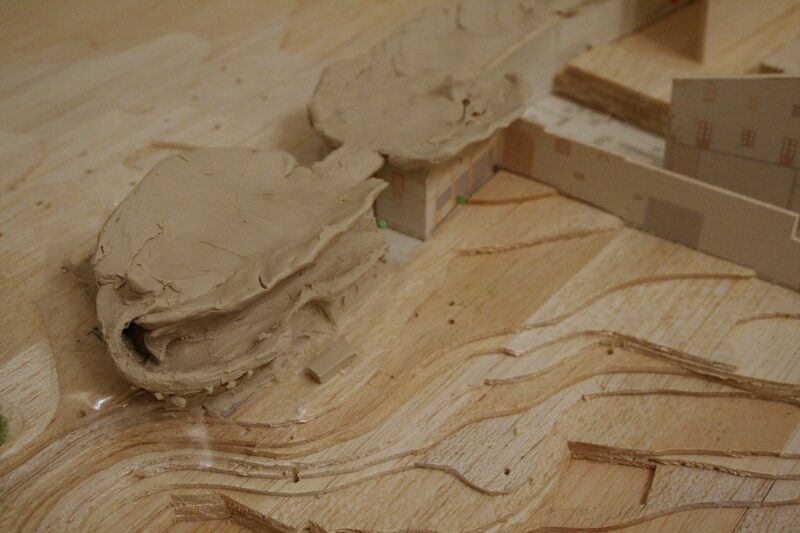 The model was developed together with the client to the real property architectural model at a scale of 1: 200. 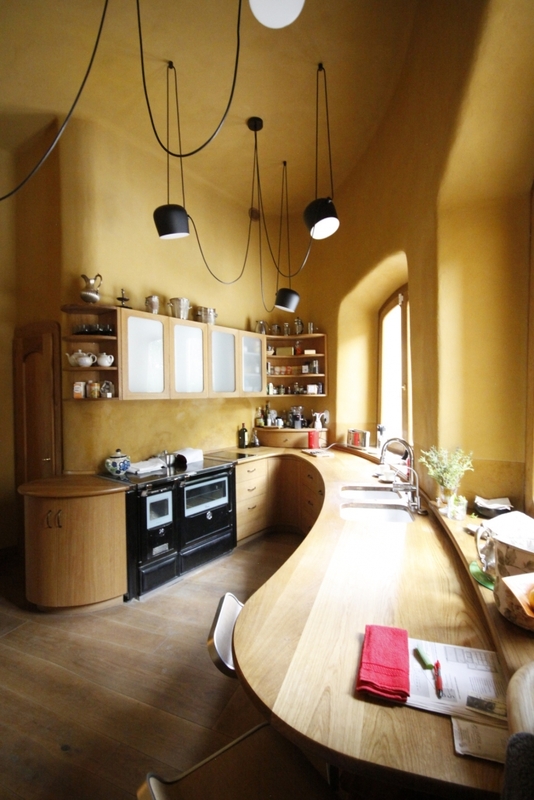 The house is adjacent to the El Palol monastery in Catalonia. The model later served as the basis for further refinement of the project. It is important to involve as many future users as possible in the design creation. 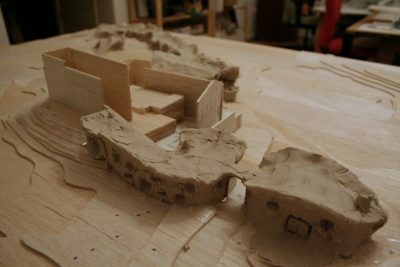 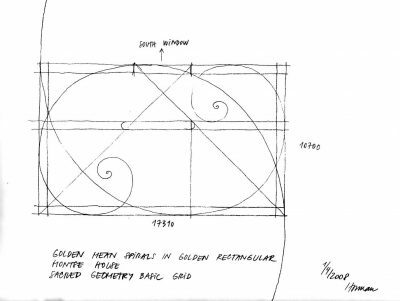 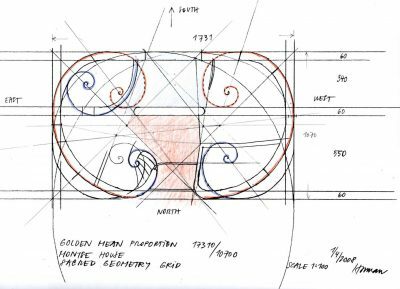 When working on a model, circumstances that one would not take into account will emerge from the work on the model…At the beginning of the model creation, the initial signs of the forms start to appear. 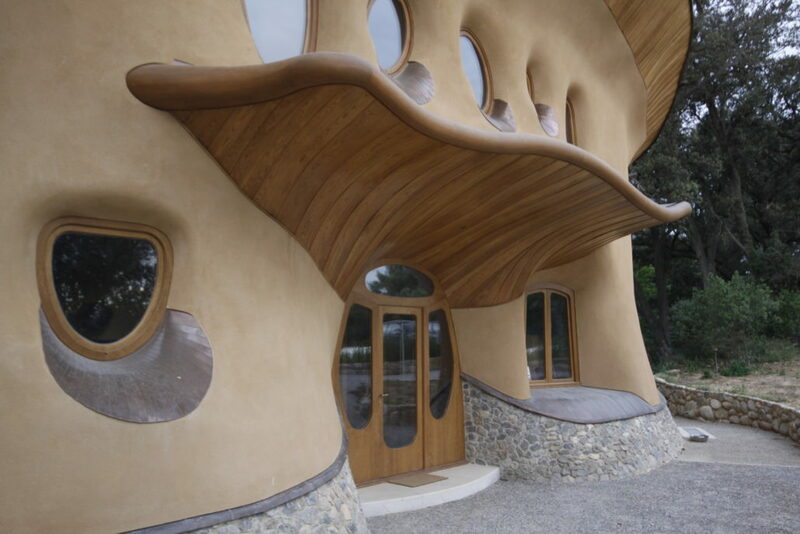 They come as an inspiration from the spiritual world to the fingertips. 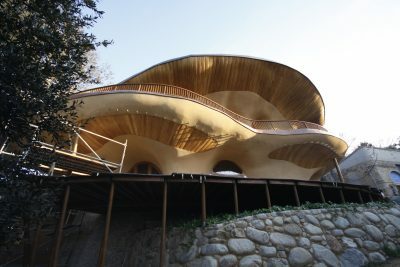 In the creative process, they are further developed by a joint work of an architect and client. 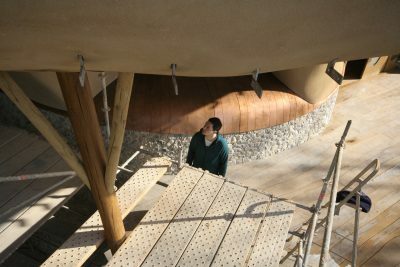 The joint work was accompanied by the atmosphere of joy and creativity. By this method of joint modelling, the inspiration is directly reflected in the mass. 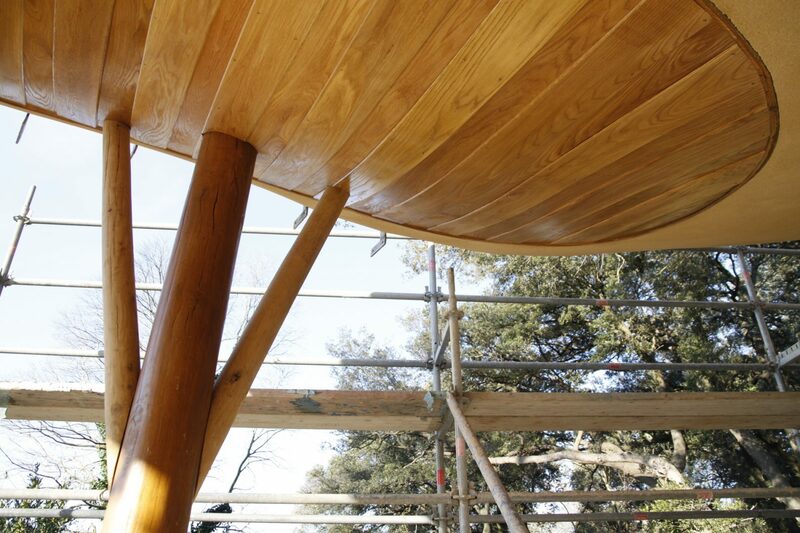 Through fingers and hands it is applied directly to the formed shapes. 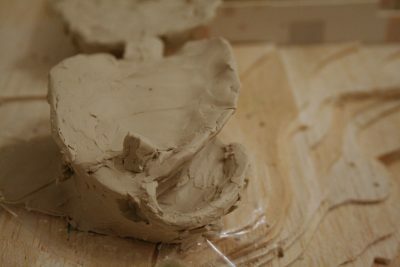 Working with clay during the modelling creates certain calm and concentrated mood. 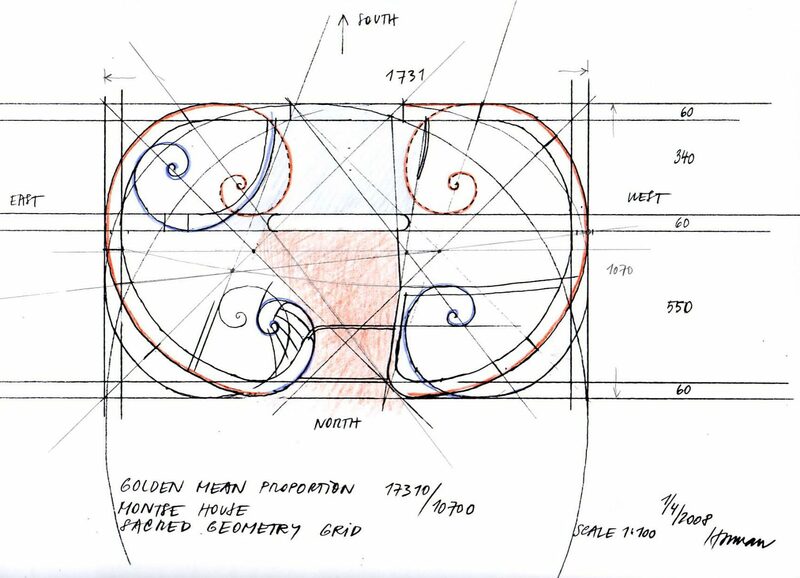 The method of joint work allows bringing not only the strengths of thinking, but also the strengths of feelings and will into the design process. Every participating person brings liveliness and joy into the process of creating the model, feeling the context and building on the work of others. 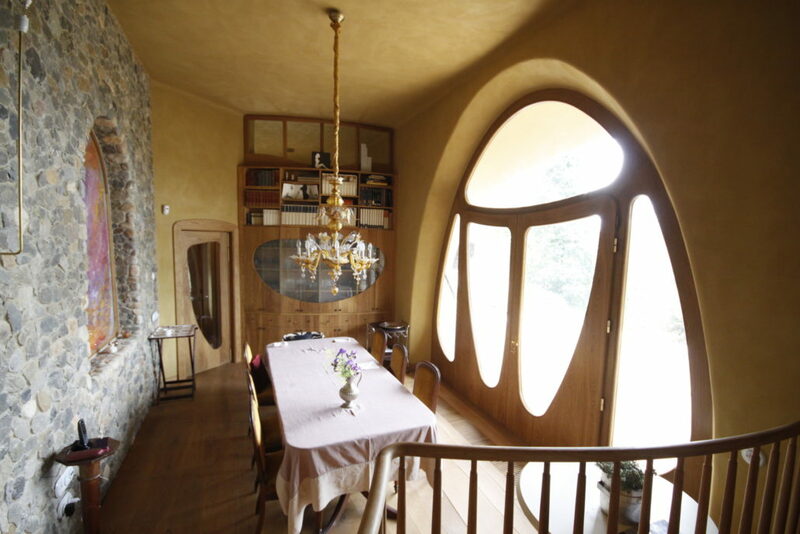 It gradually results in mutual agreement about the creation of the house. All participants are able to mentally connect with the emerging design in a better way. The modelling allows a free formation of shapes. 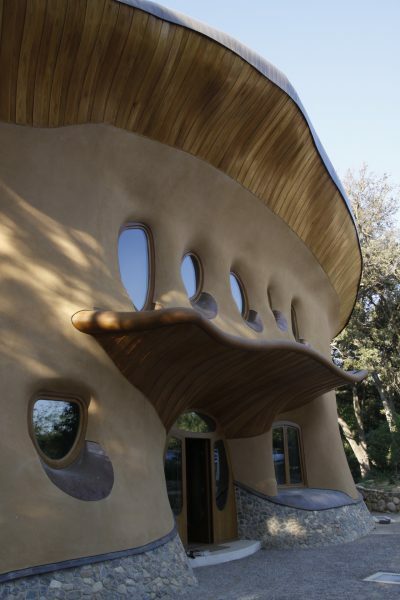 It’s a way to organic architecture. 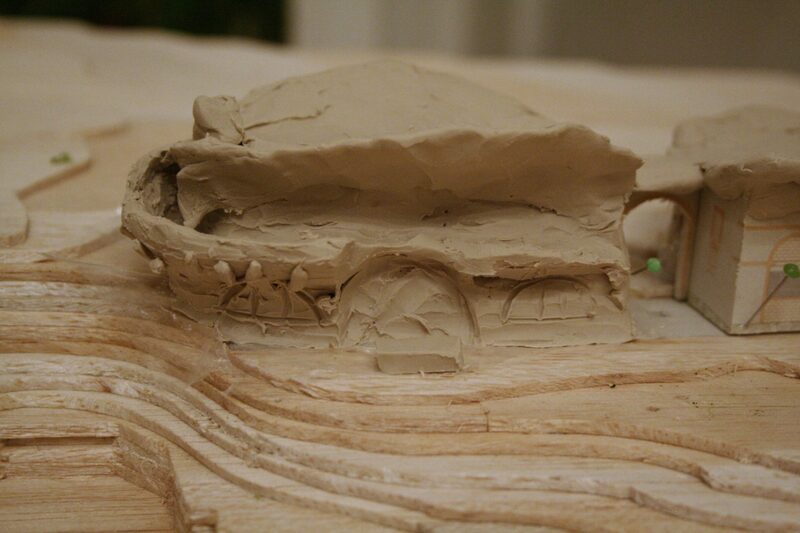 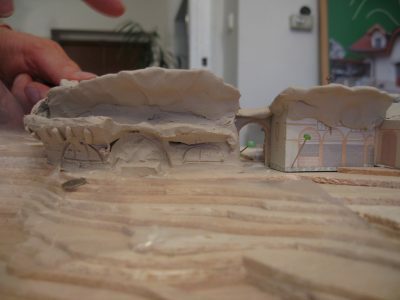 House model created by modelling from sculptural plasticine. A model of the house and the monastery created by modelling from plasticine. 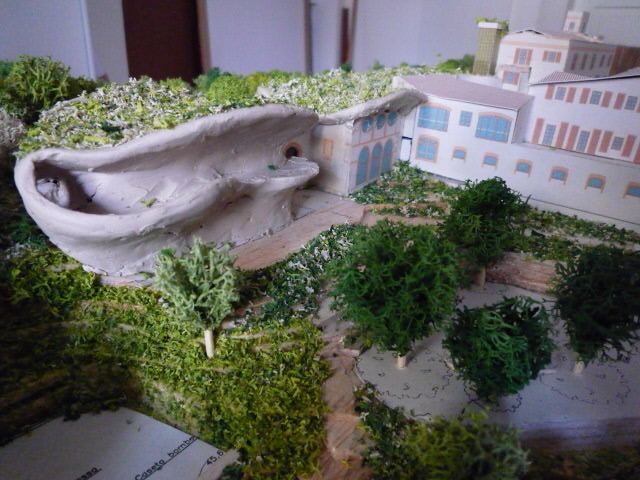 A model of the house and the monastery created by modelling with plasticine. The first phase of creation of the shapes from sculptural plasticine. 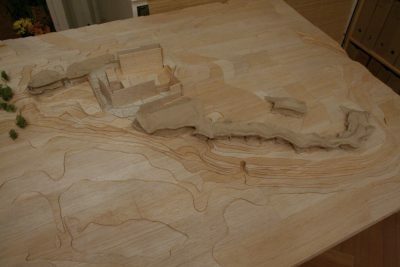 Joint modelling with the client and her son. 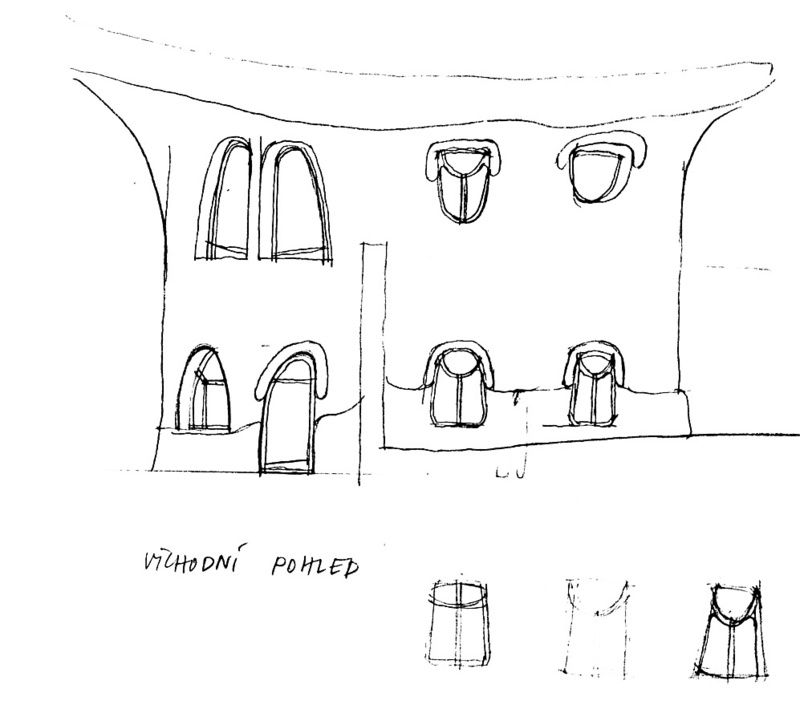 The basic concept of bungalows at the monastery. 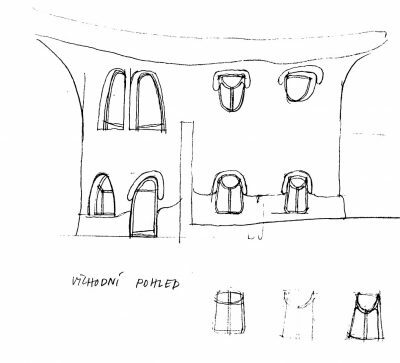 The basic concept of the bungalows by the monastery. 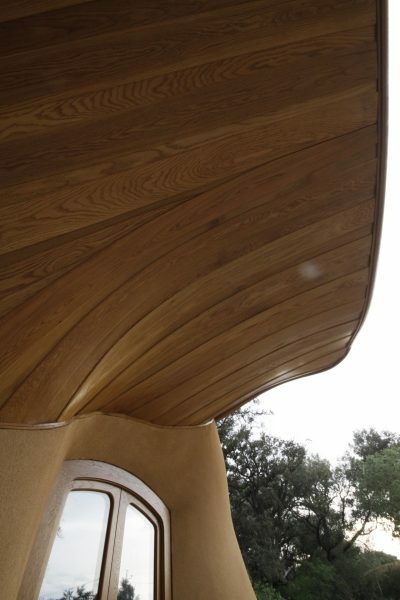 Complete building process and construction was organized by ARCO Barcelona, Arturo De La Maza. 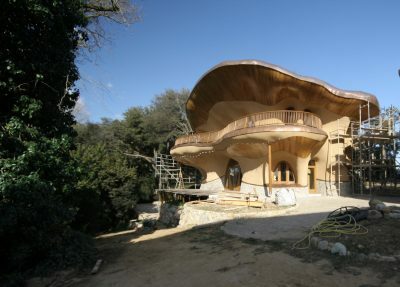 Construction of the house just before completion in 2013. 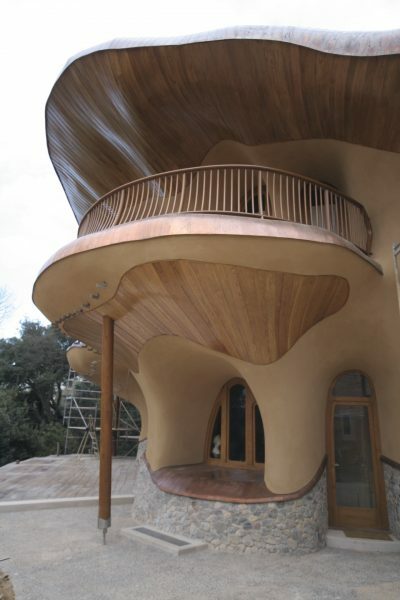 Four base materials were used on the outside of the house. A stone wall made of local stones, clay plaster on the facade, wooden battens from oak laths and copper sheet on the edges of the roofs and windows ledges. The idea of soft, plastic-shaped facades and the whole house was emerged when the architectural model of the house was being built. 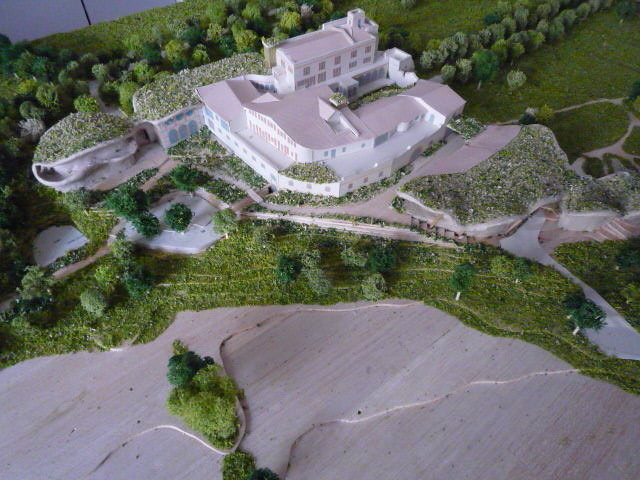 The model was made from the modelling plasticine modelling. 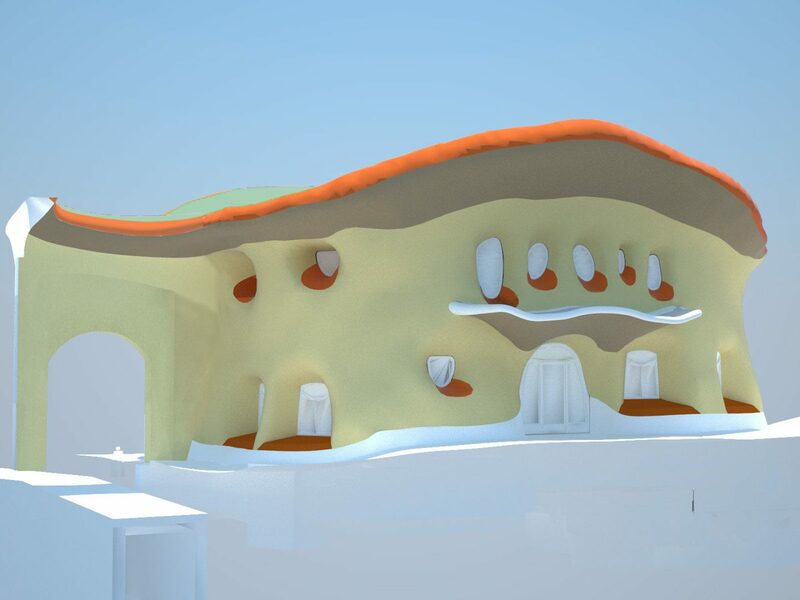 The aim was to create a soft, plastic-shaped mass of the house and to address human senses in the perception and experience of the architecture.